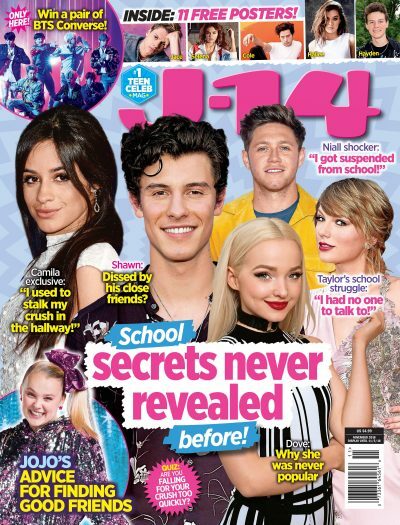 When you’re friends with Taylor Swift, you have to know how to keep a secret or two – just ask Todrick Hall! By now, the world has seen the music video for “Look What You Made Me Do” and have noticed that the YouTube star is one of the dancer's, rocking an “I ❤️ TS” tank – a reference to those infamous 4th of July pictures featuring her ex Tom Hiddleston. He is absolutely right! Everyone involved with the video had to keep this to themselves for the past couple of months, and not a single word about the song or video got leaked to the media. It just goes to show how close-knit the group the "Shake It Off" singer surrounds herself with really is. “People just really were excited and I was more excited to see the reaction of people online than to tell people. So I didn’t even tell people that were very, very close to me; my own family didn’t know….It was just like Christmas morning couldn’t come fast enough," he added. "I understand why she wasn't able to tell me a lot because it was a huge project so close to her and she filmed it so much before it came out. So, I respected that and completely was like, 'I trust that you're going to put me in a positive light and that the video is going to be amazing.’” he continued to say. Clearly the social media star and everyone involved was beyond thrilled about how the video turned out, and her BFF couldn't help but gush about what an amazing person the "Blank Space" songstress. He added, "I'm just proud of her because she's such an amazing person on the inside and out. She's treated me so kindly … I've never seen her be anything less than an angel. She's like a living, breathing Cinderella. So, it's really cool to just watch her shine like that." That's how you know this friendship is real and genuine, cause without the slightest hesitation he compared her to a Disney princess. Don't Trust Nobody Twitter Went Nuts Over Taylor Swift's New Song "Look What You Made Me Do"